Deploying an app to the cloud often involves setting up, initializing or cleaning up services. With an app server, there could be an extra routine executed or API to be called. 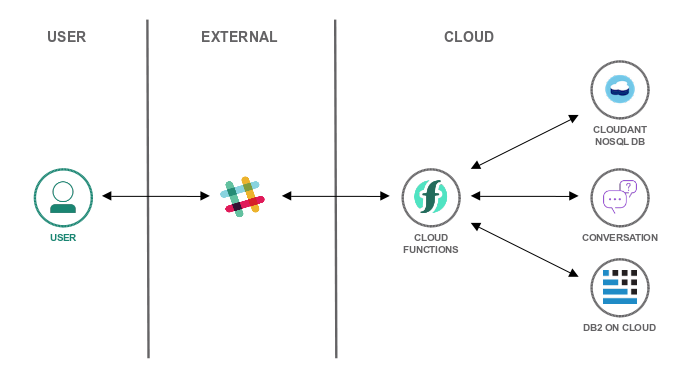 However, in a serverless environment, e.g., using IBM Cloud Functions, this is not possible. Thus, why not stick to the theme and do it in a serverless fashion? It avoids extra steps to be performed by the tutorial user or handling extra software. 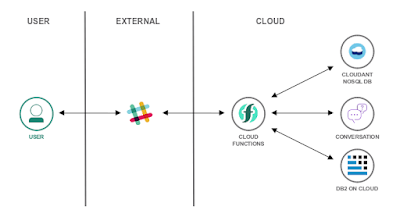 Utilizing Cloud Functions has the extra benefit that it is quite simple to implement. Many runtime environments have several database drivers readily available. Implement a function, e.g., in Node.js or Python. The code for my Db2 setup action in Node.js is available on Github. The function (or "action") has parameters that determine whether to create a table, to insert data or to drop that table. The Node.js driver for Db2 is part of the Node.js environment, importing the module "ibm_db" is all that needs to be done to use the driver. The tutorial using the above for building a Slack chatbot to interface with Db2 is part of the IBM Cloud solution tutorials. It has all the steps and code to get your slackbot with Db2 quickly up and running.